Buying baby bereavement gowns can be a very trying and emotional task that needs to be done after an infant dies. It's not something you would normally plan for, but unfortunately, if you do need one, this style of gown is not difficult to find. Baby burial gowns are worn by infants or young babies who passed away before, during or after birth. They are usually white, and very similar to Baptismal or Christening dresses. They are made for both boys and girls and come in a variety of sizes, styles, and patterns. Depending on how old the baby was when he or she died will make a difference as to what type of gown you will purchase. Older infants will fit into regular-sized gowns, and those who died before reaching their full gestational age will need smaller, more specially designed outfits. For some babies who have died, this is the only gown they will ever wear, so the decision to find a perfect one can be emotionally overwhelming. If the baby died during a hospital stay, there is a chance a bereavement gown may have been provided by a grief counselor or chaplain. Volunteers sometimes donate gowns to hospitals for use in these situations. These are simply crocheted, knitted or sewn white dresses with very little detail. They are made in many sizes, including those for micro-premature babies whose weight is less than one pound at birth. Limited time may also be an issue. If a baby dies suddenly, you only have a few days to find a bereavement gown. In these cases, you can purchase a simple Christening gown or outfit. Families can also choose to use an heirloom Christening gown, or a previously purchased outfit, in which to bury the baby. However, if the baby's death is anticipated, as in unfortunate cases where he or she has a fatal anomaly diagnosed before birth, you may have more time to find just the right gown, either at a local religious or department store. You can find gowns locally or through various online catalogs. Again, it all depends on what style and size you want and how soon you need it. Jacqui's Preemie Pride sells burial gown sets for preemie boys and girls. The site also sells Christening gowns in premature babies' sizes, which can be used as resting gowns. Special orders are accepted, and most orders are shipped within one business day. Cradle to Kindergarten offers a variety of gowns, outfits, and rompers in sizes ranging from tiny to small. Preemie Store & More has christening and burial gowns and outfits in preemie sizes. Angel Christening Gowns has quite a few boys and girls gowns available in various styles and sizes. Overnight shipping is available. 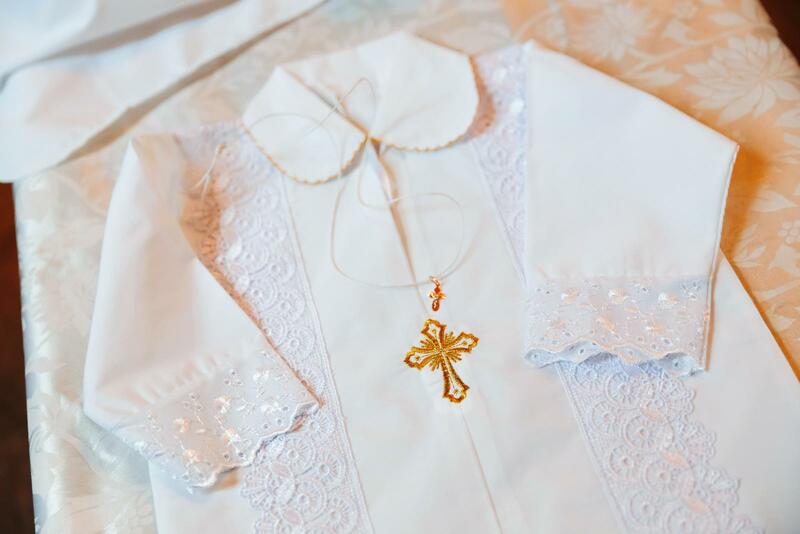 Christening Essentials sells hand-embroidered gowns in many different styles and sizes. Though selection varies, Etsy artisans offer handmade gowns and outfits appropriate for bereavement. Bev's Country Cottage has a pattern for crocheted preemie or newborn burial gowns. Melinda's Patterns has directions for crocheting burial gowns. This site has measurements available for the different sizes of babies, ranging from one to 11 pounds. BBC, in England, has a knitting pattern on its Website for a delicate burial gown. Newborns in Need has a sewing pattern for a burial gown and lined bonnet. Pattern pieces and directions can be printed. Check with the volunteer services department, at your local children's hospital, to see if there is a need for burial gowns, caps or blankets. All sizes, styles, and colors are usually accepted. Take a look on the internet to find a charitable organization that will accept these same homemade items. You can also inquire at a nearby funeral home for information as well.